Get Connected events are social events that are facilitated by Good Start Ambassadors and can be run within a class time to help students connect in the first couple of weeks. 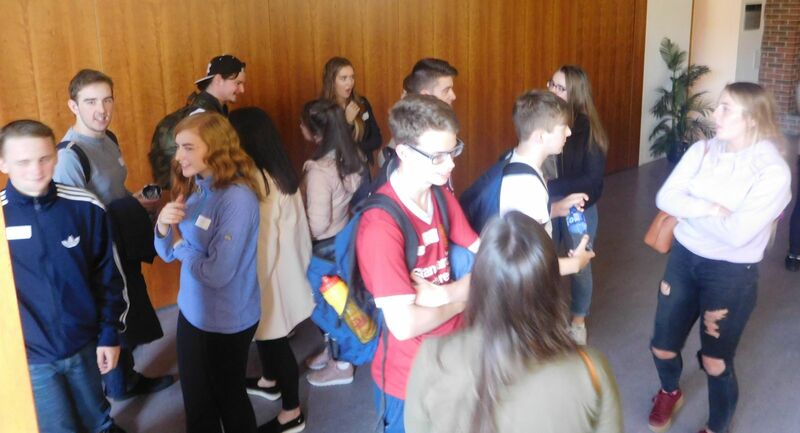 The main aim of this event is social rather than academic; giving students a chance to get to know each other's names and to mix and mingle. This event nutures supportive peer relations, helps to foster meaningful interaction between academic staff and students and engenders a sense of belonging to their department. If interested please make contact with Róisín O’Grady roisin.ogrady@cit.ie (5395) to either book in an event or to discuss the needs of your group.